"So easy and quick! Just two ingredients, a perfect marriage! Serve with rice if desired." Heat tomatoes in a large skillet over medium heat until simmering; add tilapia. Spoon tomatoes over tilapia to coat; cover skillet. Simmer until fish flakes easily with a fork, about 10 minutes. See how to cook this mild, versatile, and inexpensive white fish. Great combination but I had to add to it. I added garlic, basil, oregano, salt and pepper. 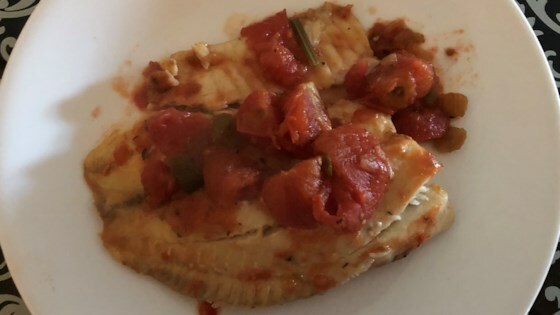 First time I had Tilapia with tomatoes and it worked very well!